Share the post "Eric Powell Honored for Service to the Fishing Industry"
Eric Powell, who served as the director of the Haskin Shellfish Research Laboratory (HSRL) from 1995 through 2010, was honored at a special luncheon sponsored by the fishing industry at the Lobster House in Cape May, NJ, on August 14. 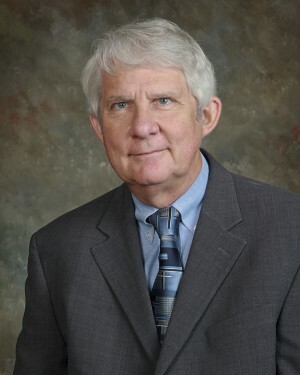 Powell recently accepted the position of Director of the Gulf Coast Research Laboratory, University of Mississippi, in Ocean Springs, Mississippi. During his tenure as HSRL Director, Powell developed strong relationships with the fishing and shellfishing industries as he worked to develop scientific programs that developed the best possible information for managing these valuable resources. These efforts were recognized by attendees that included leaders in the mid-Atlantic fishing industries (both commercial and recreational), U.S. Congressman Frank LoBiondo and New Jersey State Senator Jeff VanDrew, as well as members of the Haskin Lab and Executive Dean Robert M. Goodman. Goodman commended and thanked Powell for his efforts as did several industry leaders. Congressman LoBiondo presented Powell with a Certificate of Special Congressional Recognition for his “dedication and service to the Haskin Shellfish Research Laboratory and to the commercial and recreational fishing industries.” Senator VanDrew presented Powell with a Commendation from NJ’s 1st Legislative District and also a Joint Legislative Resolution from the New Jersey Senate and General Assembly. Following the luncheon, there was a press event at the Haskin Shellfish Research Laboratory on collaborative efforts to restore oyster production in Delaware Bay following the storms of 2011. Powell has played a significant role in these efforts over the years and the Partnership for the Delaware Estuary took the opportunity to recognize his leadership. As part of this ceremony, David Bushek (director, HSRL) unveiled a framed photo of Powell that will hang permanently in the laboratory next to photos of the previous directors Richard Lutz (current director, Institute of Marine and Coastal Sciences), Harold Haskin, Thurlow Nelson, and Julius Nelson. L-R: Bob Goodman, Eric Powell, Dave Bushek, and Barney Hollinger, local oysterman and member of the Delaware Bay Shellfisheries Council.